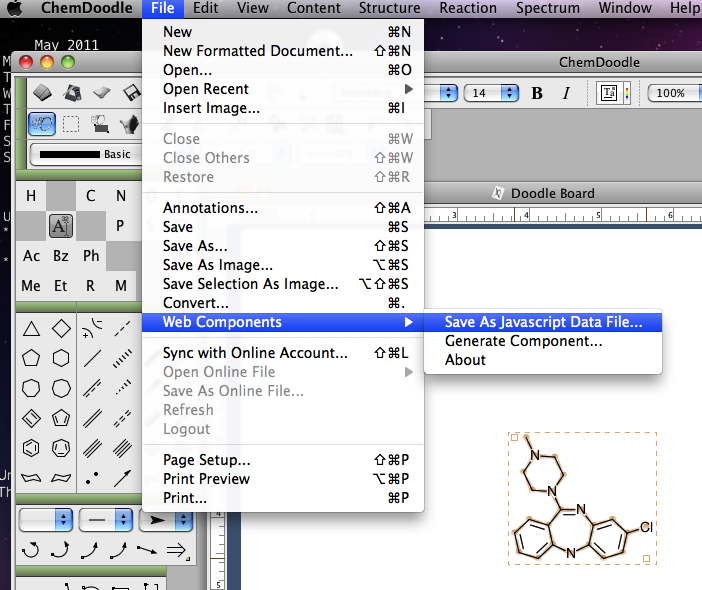 To get the molecular structure in the correct format open up ChemDoodle and you can either draw the structure, open a structural file if available or as I did here use the MolGrabber to pull the structure from ChemSpider and then click the arrow to transfer it to the ChemDoodle drawing area. 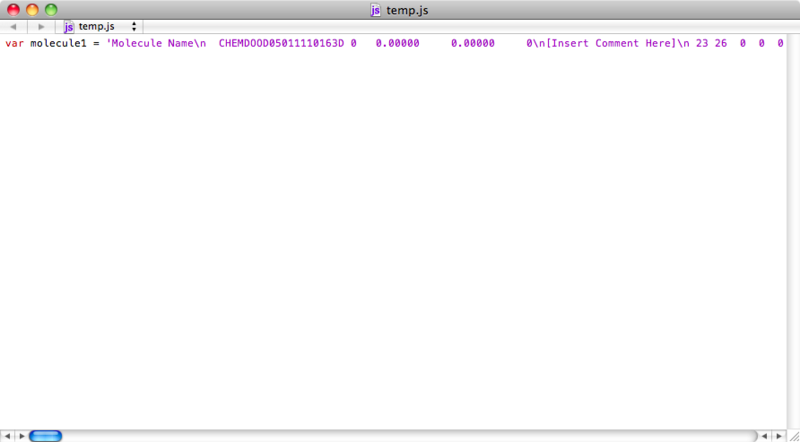 The first part sets up the stylesheets for each element. The last part sets up the plot (including the legend) and the popup options (the offset is influenced by the sidebar and header). 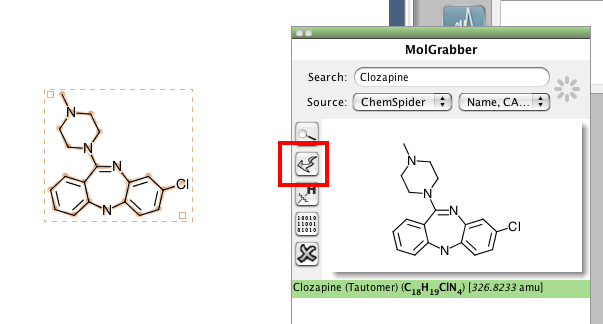 If you mouse over the points on the graph you should see the structure of the drug in a popup window, this structure is rendered using a ChemDoodle Web Component. If you want to use the source code it is probably easier to view this page which only has the graph and does not have all the website specific css code included.